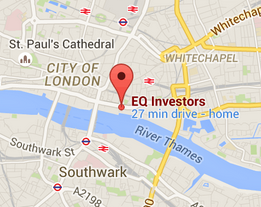 EQ Investors (EQ), the boutique wealth manager led by John Spiers, is pleased to announce that Mark Howlett has joined the firm, as an Executive Director with particular responsibility for the advice side of the business. Mark previously worked for Broadstone Corporate Benefits, where he was Chief Executive. Prior to that, he led the private client and corporate benefits divisions of BDO Investment Management. His background and experience spans wealth management, pensions and employee benefits, and he brings with him over 25 years of expertise in senior executive positions. Mark Howlett, commented: “This is a very exciting time to be joining EQ and I’m thrilled to be part of the senior team of such a dynamic and ambitious firm.